Attention fathers – or any reasonable facsimile thereof – bring a child to the Ice Cream Social and Dairy Day at Harriton on Sunday afternoon, June 16th, from 4-6 PM, and eat some good fat-rich Yoders Golden Guernsey Ice Cream for FREE as your Father’s Day treat. Harriton was a well-known Guernsey dairy in the early 20th century. 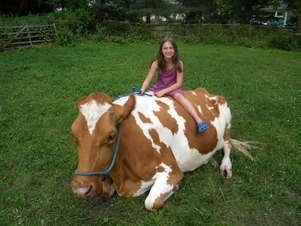 We will have a big Guernsey cow visiting from the last 100% Guernsey herd in Pennsylvania. We will also have our two baby milk cows – Chance and Aipa visiting for the entire summer – who will be here to delight children and adults alike. We will have a small exhibit of dairy objects including marked milk bottles from Lower Merion dairies. But be sure to phone in or e-mail a RESERVATION request for this event (Please, this is important! We need to know how much ice cream to buy.). 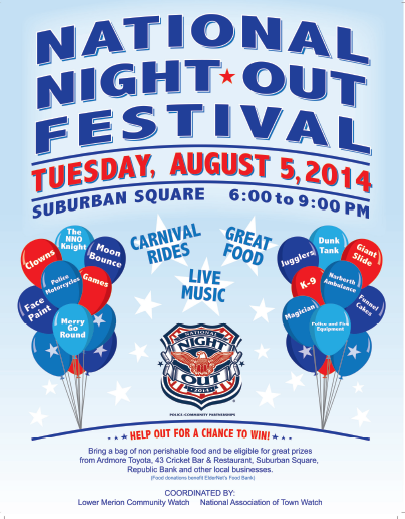 Remember, Dad eats FREE, but others pay a $6.00 per person admission (as much ice cream as you can eat!) or $20 for families of four or more. Remember, RESERVATIONS ARE NECESSARY (610.525.0201 or HarritonHouse@aol.com).